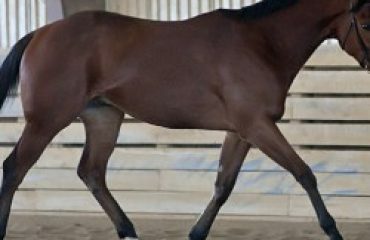 Behind many a good horsewoman stands a supportive parent and great horse enthusiast. That certainly is the case for Olympic show jumper Laura Kraut and her sister, Mary Elizabeth, whose riding careers started at the hands of their mother, Carol Kent. Both Laura’s and Mary Elizabeth’s passion for riding and their hard-working, always-active personalities seem to have been inherited from their parents: Rather than simply bask in the shadow of her daughters’ success, Carol stays current with the equestrian world and plays an active part in her Camden, South Carolina, community. 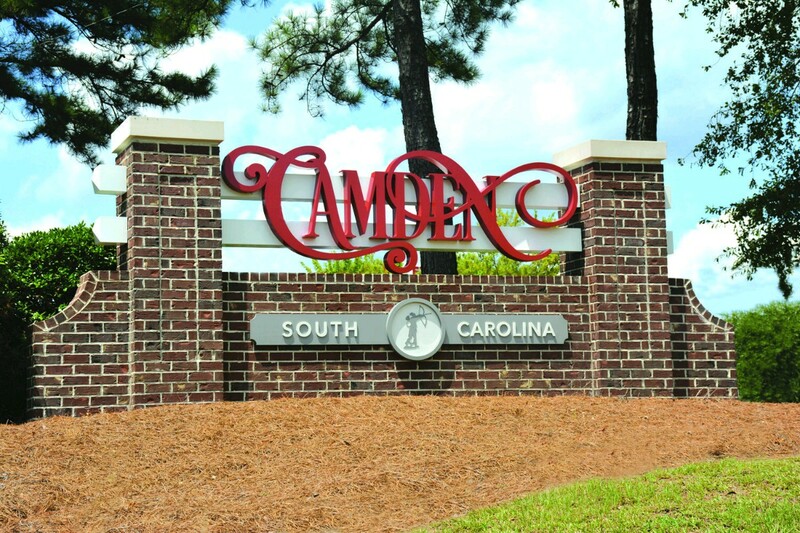 With such a rich history, it’s no surprise that there’s a long lineup of historical sites on Camden’s visiting to-do list. 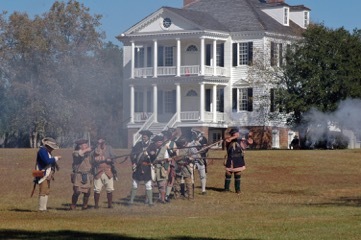 Camden was the site of Revolutionary War battles as, well as Civil War battles on the outskirts of town, and monuments stand on the sites of each. Step back in time with over 60 pre-1864 sites in Camden’s Historic District — and do it in true old-time style with a carriage tour. Looking to take a piece of history home with you? “Camden is a well-known antique center, and people come from all over for the fine estate auctions,” said Carol. Both historically and in the modern world, horses have been a prominent feature in attracting people to Camden. Springdale Race Course hosts Camden’s internationally renowned steeplechase race: the Carolina Cup. 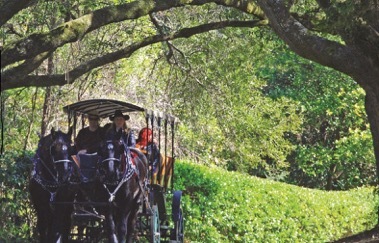 “The Carolina Cup attracts thousands of spectators each spring,” Carol said, “including busloads of college students. It was once described to me as the largest outdoor cocktail party in the South. People reserve parking places for tailgating and box seats years in advance.” Whether you’re in town for a race or not, Springdale Race Course is open daily and houses the National Steeplechase Museum, the only museum dedicated to steeplechasing in the United States. 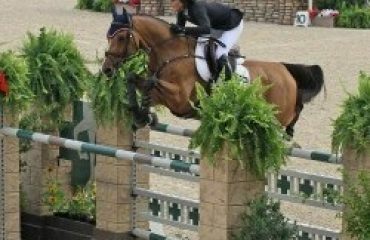 In addition to steeplechase races, Camden is also a hot spot for other equestrian events. 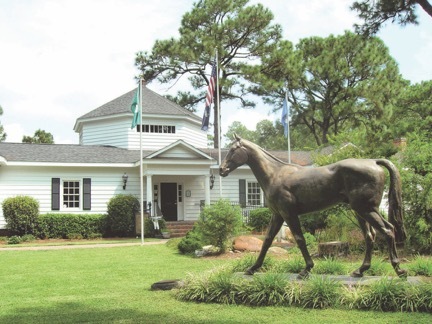 “Our South Carolina Equine Park consists of five rings, two of which are covered, and 300 permanent stalls,” Carol shared about the 60-acre equestrian center. “SCEP hosts horse shows of all disciplines throughout the year, rain or shine, and is convenient to hotels, restaurants and a major highway.” Other sporting attractions include the Camden Country Club, with the only golf course in the state designed by Donald Ross, and a championship tennis and pickleball complex under construction that will be ready for United States Tennis Association and other tournaments. 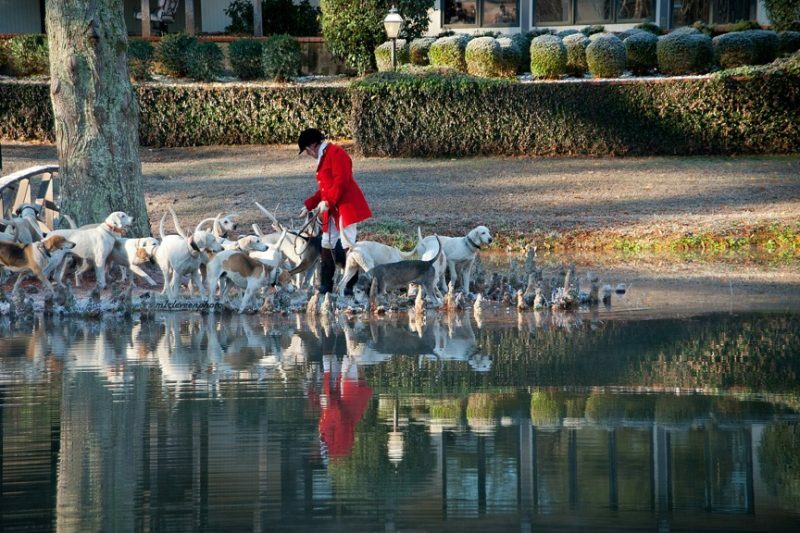 Foxhunting has drawn people to Camden for many years. No matter what brings you to Camden, there are plenty of places to stay and dine to make you comfortable. 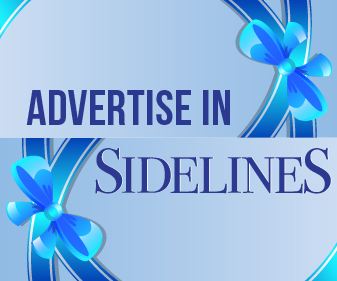 “There are many hotels from basic to posh,” said Carol, “Cottages at Springdale Hall Club, a private dining club, are available for out-of-town guests of the members. 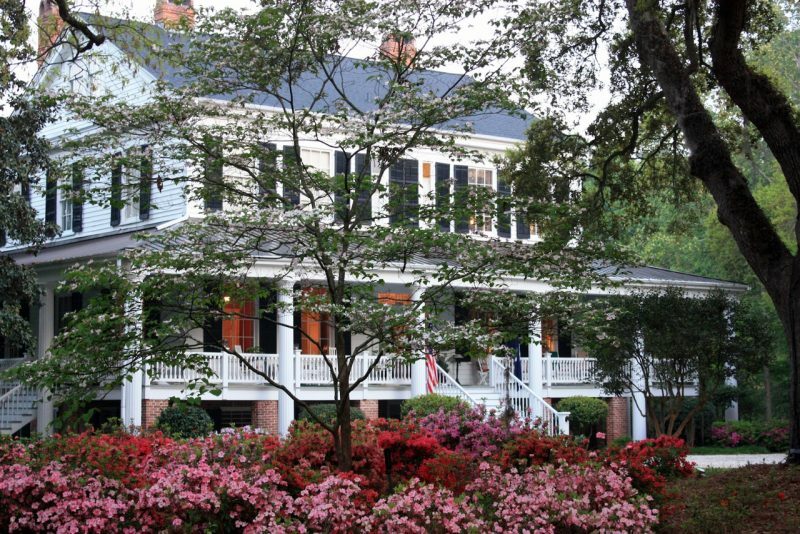 Springdale Hall is an old-fashioned club that focuses on families, exquisite cuisine, and Southern hospitality.” Invited guests and members can experience the high-class, old-fashioned exclusivity of Springdale Hall, a traditional private club renowned for its focus on the family and exquisite Southern hospitality. 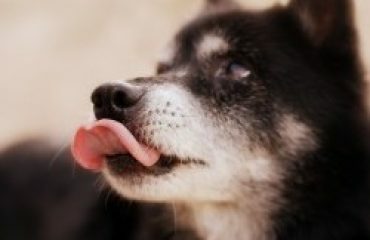 “Bloomsbury Inn is an elegant bed and breakfast,” Carol continued. At Bloomsbury, you’ll be welcomed into the charming and historic property by Katherine and Bruce Brown, both retired Air Force colonels, and Miss Kitty Stray — the beautiful orange-and-white cat that calls the Bloomsbury grounds home. 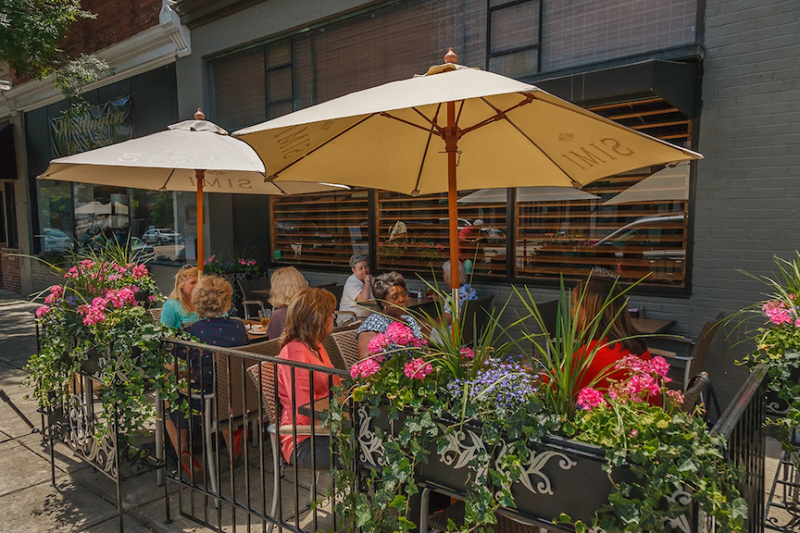 Enjoy dining at Sam Kendall’s while in Camden.